Magnus is a cheerful, knowledgeable, and adventurous guy from Arendal, a charming little town on the beautiful southern coast of Norway. Magnus loves anything practical, and he always finds smart solutions to all kinds of problems. 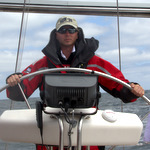 He grew up with parents who loved sailing and he accompanied them on his first long sailing trip early on, at age 12. 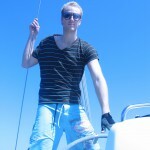 At this time he started of as a young, aspiring deck hand on the family’s 55 footer S / Y Nordavind to the West Indies. One of his greatest passions is diving, and his interest in scuba diving has influenced his life in many ways. Civilian diving excursions were a main component of his life until he joined the Navy Forces of Norway. It wasn’t difficult for Magnus to decide which branch of the military he was going to devote his life to. He knew that diving would always continue to be one of his greatest interests, so the choice was rather easy.He started of as a diving school, before he went on to do hose surface supplied diving in the arctic waters of Tromsø, Northern Norway. In 2002 he finally decided to become a clerance diver (EOD). It was in this profession that he met one of his closest friends, Martin. After 7 years as EOD, Magnus are currently working with force production in Bergen, on the West Coast of Norway. He has also worked as a diver on the Norwegian continental shelf, which is a part of the North Sea.Magnus will participate in the whole sailing trip. Martin grew up in the inland town of Kongsberg, but with parents from Bergen and Fredrikstad the search for the sea came naturally. During his childhood the summers were spent on the beautiful islands of Hvaler, where downtime was spent drawing fishing boats and sailboats and begging to do volunteer work on some of the many shrimp trawlers. Martin was never concerned about going with the flow, and with ants in his pants, he moved to the whaling town of Sandefjord at age 15, where he would go to high school. The evenings were spent dreaming away in books about long adventurous sailing trips, Knut Frostad’s offshore sailing and dramatic portrayals of the war sailors. But the family’s 4hp Rana plastic boat was not enough for him. 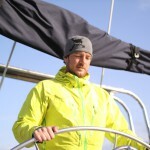 He joined the Norwegian Navy in order to fulfill his dream about a life at sea. Over the past nine years, he has worked at various departments in the Navy. 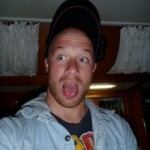 After serving 2 years as a seaman and a sea mate, Kjetil was promoted to overstyrmann for the summer of 2011. Kjell is from the middle of Norway, and he use to tell people that he’s from the pine forest (aka Grong, just north of Trondheim). Since sometime in the 90’s, Kjetil has lived in Arendal, the same town that Magnus is from. 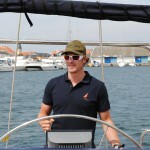 Kjetil is joining the trip on August 1st 2011, and he’ll be a part of our crew for about 6 weeks. However, we’re already sensing that this is not going to be the only time we’ll spend with him during the trip. Bjørn Anders is a land dweller, born in the middle of nowhere in the flat lands of Norway, far away from the sea. He grew up in Oslo, the capital. He’s a hydrophilic by nature, but his experience with sailing is rather limited. We figured he would fit in as a ballaster, or a tasty meal in case we get lost at sea. As a long awaited break from his job as an IT consultant, he will take the trip across the Atlantic with us, and he’ll accompany us to “somewhere in Central-America”. He might be described as a geek, but a geek is exactly what you need if the technology breaks down when we’re far from land. Stefan is a Norwegian-Brazilian with Swedish ancestry without being a total albino because of that. 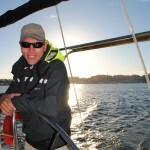 Stefan participated in the first summer the boat came to Norway and sailed with it for two weeks. Even though we were not convinced Stefan received the title as “fokkeslask” in 2011. Stefan is smart, even if we sometimes doubt it as he speaks right from the hearth, without thinking twice about what actually comes out. Stefan is, as the other crewmembers, found of diving, but his favorite sport is walking about without a T-shirt, however without ever getting a tan. Stefan will participate from the 1. August until we reach the Canary Islands, but with a lot more participation planned for the next years. Karsten was born and raised in the southern part of Norway and is a true “southlander” (never angry and takes life as it comes). He got early used to the sea but it took 20years before the interest for sailing caught his mind. He has been working in shipping industry for many years but never got the opportunity to pursue the market by boat so when Amatura Borealis popped up, the choice was clear. He will join us from August till spring next year.